The Costa Vasca, also known as Basque coast, is located along the Atlantic Ocean and against the Pyrenees. It’s a gorgeous, green region due to the - for Spanish terms - high amount of rain where the green landscape is interrupted by impressive cliffs. The Basque coast is part of the Basque country, an industrial region with its own language. Bilbao, the capital, is one of Spain’s largest cities and has one of the biggest harbors of the country. The industrial city is known for its spectacular innovation in architecture, with the Guggenheim Museum designed by Frank Gehry, as the most famous illustration. Next to Bilbao, the region is known for two totally different atmospheres. San Sebastian is a beautiful, chique city with sandy beaches along two bays, focussing on gastronomy and strolling over the boulevard. 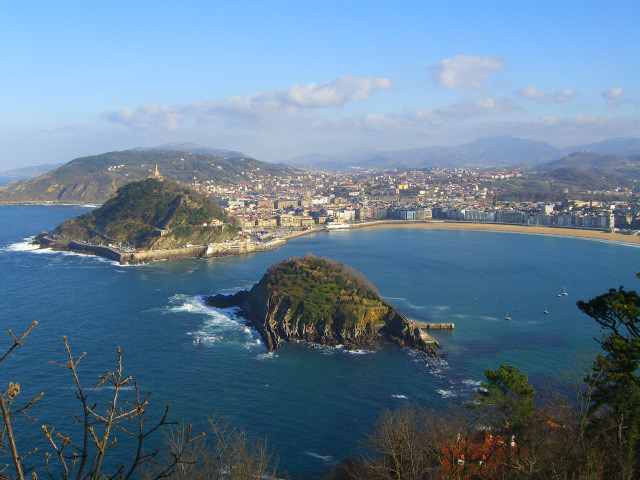 Just a little further, you find Mundaka, also known as surf capital of Europe with a laid-back feel. Due to the crisis, a lot of houses at the Costa Vasca are repossessed by banks. These villa’s and apartments are now in forced sale. This gives you the opportunity to buy your perfect home at the Spanish coast for a very profitable and affordable price. Above you find an overview of all bargains at the Costa Vasca.